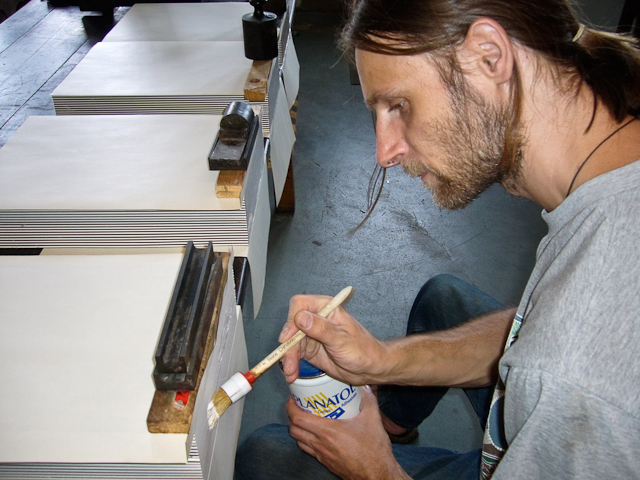 Design and manipulating images for catalogues, posters and invitations or the typographical design of your own original artists books can all be realised using hand typesetting or on a MAC. We have We have an Laserprinter and EPSON inkjetprinter, also scanner till A3+. 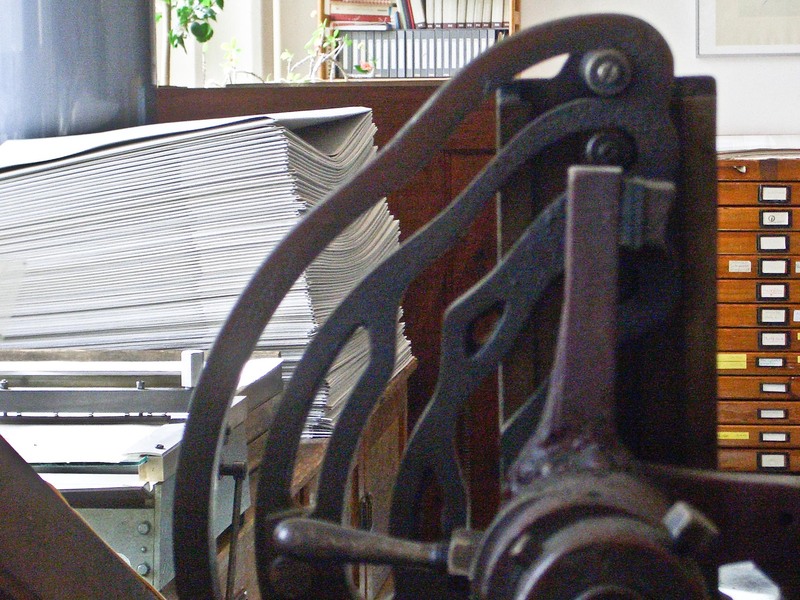 For the bookmaking process we have a 120 cm cardboard cutter, a 92 cm cutting machine, an embossing press for 27 x 36 (56) cm, a passepartout cutting machine accomoadating up to 100 cm, a 67 cm folding and a perforating machine, a stapling machine, a wire binding machine and a screwpress for dimensions up to 75cm.